All machine binding, triangle label - quick and easy! As usual, I have included some little books plus a little teddy! This photo was taken outside. The little quilt was just out of the dryer! This idea of a "mini I Spy" is not my original idea! It comes from here. 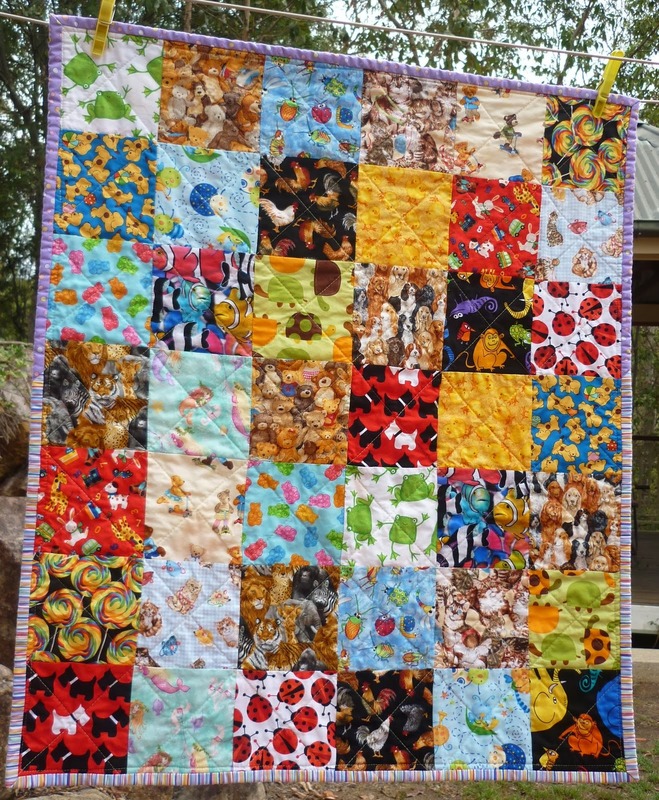 The cute thing about these little mini quilts is that they can be used as dolly quilts eventually! This little parcel will be mailed tomorrow. Very cute, Helen, and a good idea as well. Lovely and I especially like your triangle label. So adorable! I love that you always include a book too.